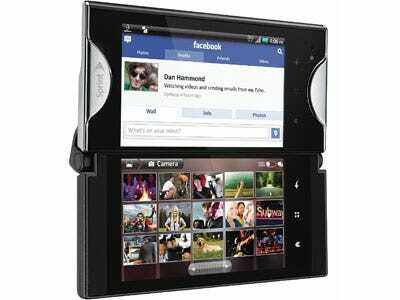 The iPhone 4 for Verizon is already old news, thanks to Sprint’s unveiling of the Kyocera Echo smartphone last Monday.Sprint’s Kyocera Echo is the world’s first dual-screen Android device, with a 3.5-inch 480 x 800 touchscreen display hidden beneath the same-sized main display. Folding them out gives you a combined display size of 4.7 inches, 960 x 800. It’s slated to run on Android 2.2 software. But that’s not all, there’s tons of new features built in to this revolutionary cell phone. You can pre-register to get your own Kyocera Echo smartphone. It’s set to arrive by springtime, and it will cost $199.99 after the mail-in-rebate and two-year agreement with Sprint, along with the “everything plan” and “premium data add-on”. To start the pre-registration for your Kyocera Echo, visit now.sprint.com/echo. Once you’re on the Sprint Echo website, just click on the Sign Up Now link. A popup box will appear for you to enter your information. Fill in all of the required fields and click Submit. If you’re a current Sprint customer, you’ll need to enter your phone number, too. OK, it seems like forever away, but it’s not. Spring usually starts mid-March, so it’s less than a couple months away (hopefully). Sprint will shoot you an email whenever the Kyocera Echo is ready to purchase. Via How To Pre-Register for the Kyocera Echo Smartphone with Sprint on WonderHowTo.